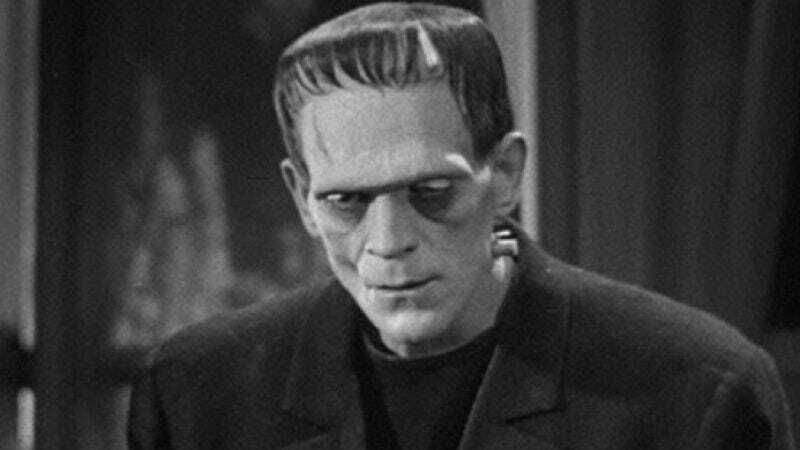 House executive producers Russel Friend and Garrett Lerner are developing a drama for NBC described as a “modern-day take on the legend of Frankenstein”—which is to say an everyday take on the legend of Frankenstein, as every day seems to bring news of a project competing to be the first to revive the Mary Shelley tale with a gritty or possibly Twilight-inspired update. In fact, with the addition of this TV version, there are currently nine Frankenstein-related ideas in development that we’re aware of, allowing for the limitations of our knowledge on this side of the industry. Philosophically speaking, of course, there could be infinite Frankenstein update ideas, all existing simultaneously in parallel—perhaps even some that we ourselves unknowingly have generated, such as one where Dr. Frankenstein and Erwin Schrödinger share an apartment with dozens of dead-but-also-alive cats. See? Because we put that out there in the universe, in some potential timeline, that show is already entertaining millions. Anyway, there are no specific details on this particular revision, but you can probably make some assumptions based on House, such as that Dr. Frankenstein will be insane but still oddly loveable, and that each week he almost won’t raise the dead, but then at the last minute he will—things of that nature.